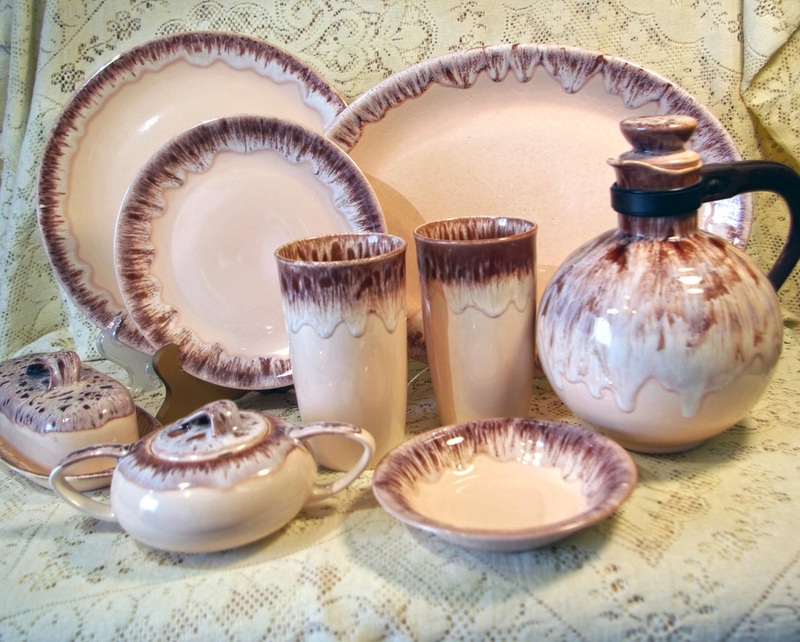 Vernonware produced "California Shadows" from 1953 to 1955. "California Shadows" is in the San Marino shape; with a light salmon pink base color with either a cocoa brown, or antique gray drip finish. A fine example of mid-century modern California dinnerware.